Most of the business failed due to a lack of planning and direction. This business management derived from the well-written business plan. When starting a business you must have clear picture, goals, and purpose which is challenging parts of any business. The best way to deal with this challenge is to create the business plan; a well written, informative, organized layout for how you want, grow, perform and excel the business. Before directly jump into business plan writing, it is most important to understand 5Ws of your plan. “If you failed to plan, you definitely planned to fail”. Bonus : Also,I have made a list of the 10 best online business ideas to make money. 1) What is a Business Plan? 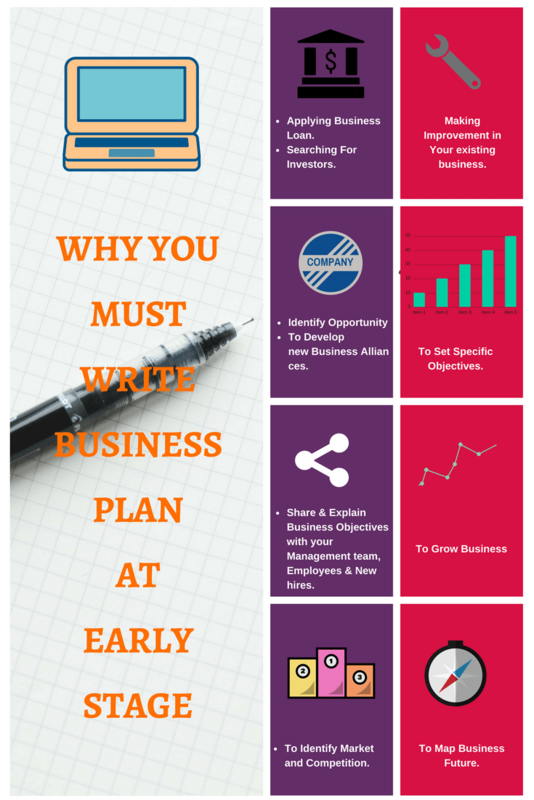 2) Why must you write Business Plan at the early stage? 4) When Business Plan needed? 5) Where to write a plan? When to use Traditional Plan? When to use a lean business plan? A business plan is an important document that outlines your business. It defines what is your business, how it will be structured, who are your competitors, what are your services, who are your executives, sponsors, investors etc. what is your marketing plan, how are planning to sell your services & product, what are your future plans and projection in terms of finance etc. Business is evolving, dynamic, adaptive process and as a business owner, there are many different reasons like below which state that why you may need a plan. Making Improvement in your existing business. Share and explain business objectives with your management team, employees and new hires. To identify Market and Competition. Yes, first who care about your business plan is You. As a business owner, business plan help you to encourage and keep motivated during business setup. The care which you are taking while creating a business plan which actually helps you to reduce the problems incurred during business. You may identify potential problem areas that you had not seen before. Your potential partner is another backbone of your business as they share some responsibility for the business. They are an investor in your business in terms of efforts, time and money. Partners success and failure depend on your business hence they want to review your plan carefully. Sponsors are the banks, people who are willing to lend you money to get your business started. As sponsors have invested money on the line, they will want to see how you plan to use it and, most importantly, how you plan to pay it back. They have great experience to judge the business and see how realistic your plan is. Investors are similar to sponsors in that their money is on the line, but investors don’t expect you to pay them back. They help you to create the finished product.How do you finished end product depends on your suppliers so they are in line actor of your business. So they want to know that your company is financially strong and will pay them for their work. Suppliers will ask to see the business plan for a new company before committing to manufacturing the goods. Today business plan not only limited at the early stage of the business but also as needed at later stages of the business. In some cases its static document and in other its dynamic document. So you have to write a plan at the initial level of the business (before starting the business) and continuously review it. There is no specific answer to this question. A business plan can be written anywhere.. there is no specified place. It can be written even on plain paper, online, Wordpad, smartphones etc.. 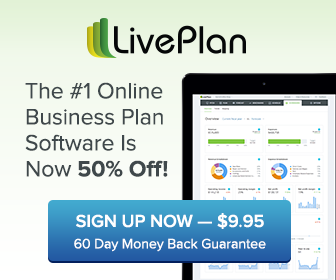 Note: –There are various online software platforms where you can automate business planning like LivePlan which is leading player in the market. You can explore some free and paid features from LivePlan. Grab your offer – Live was $19.95 now $9.95. Click on below image to try and if like buy LivePlan. Disclaimer: I never promote the product until I feel its good and explore it.I have an affiliated with LivePlan and I will receive a commission when someone buys their products with my recommendation. I will capture details about LivePlan and other software in my another blog post. For many entrepreneurs, it seems boring. Confusion due to different business plan templates. Keep it short, simple and clean. Don’t discourage – Business planning seems an overwhelming, time-consuming process, like a difficult hurdle.In order to be successful, you should see this as an opportunity. The vast majority of entrepreneurs aren’t business experts.Just like you, they’re learning as they go. If you know the business and are passionate about it, writing a plan is easy. Define each element of chosen business plan template. Let’s see each in detail. The checklist is the best way to plan, complete anything and it works for the business as well. Well prepared checklist will save your time and efforts when you have lots of stuff on your plate. So first prepare the checklist. I have made sample checklist which will help you to prepare a business plan.These are few questions you need to ask before planning business. Who are the key executive in the business.? Why will the business succeed? Is there any need for funding. What is the return on the investment? What is a Unique in your idea? What is the growth potential? What is the type of business? Why does it promise to succeed? What is your organization hierarchy and How will you structure your organization? What approvals, licenses, and permits will you need to run the business? Who will manage the business? Initially how many employees will you need? What are your plans for employee salaries, and benefits? What consultants and specialists will you need? What legal form of ownership will you choose? Why? Who are you, key competitors? What’s unique about your competitors? What is your marketing approach: Inbound or Outbound? What advertising and promotional strategies will you use? What are initial technical challenges in terms of the setup, machinery etc? What technical assistance have you received? What research needs do you anticipate? The cost involved manufacturing your product or service? What are your needs for production (e.g.raw material, facilities, equipment)? What potential problems could arise and how to mitigate it? What are your total financial needs and sources of finance? Do I need funding? How? What will it cost you to open the business? What will your personal monthly financial needs? What sales volume will you need in order to make a profit the first three years? What will be your projected assets, liabilities, and net worth on the day before you expect to open? What is your business projection?i.e timing,goals. Have you set up objective and your deadlines for each stage of your business? After preparing checklist you must do the analysis. An analysis in terms of Industry, Company, and Competitors. Company Analysis: what products, services do you offer now and/or what will you develop and offer in the future? Industry Analysis: how big is/are your market(s) and how are they changing? What are current trends affecting them and do these trends bode well for your future success? Competitive Analysis: who are your competitors and what are each of their key strengths and weaknesses? In what areas will you have gain a competitive advantage? What is the marketing strategy you have opt-in? This is next important step after analysis. There are various templates out there, but key pain point is how to choose correct template. You must ask questions while choosing and writing a business plan along with below characteristics. Is it fit for the business need? Is it realistic and can it be implemented? Can I track results in the plan? Does it defines responsibilities for implementation? Is it communicable to the people who have to work and run the business? Does it keep people Motivated? Can it be dynamic and kept alive by follow-up and planning process? Good Formatting and Clear Writing. Easy to Understand and Read. Detailed Market Research and Competitor Research. Now define each element of business into the chosen template. Here I found that why business owners feel the pain of planning business….because they don’t know the difference between Traditional and Lean Business Plan. Let’s Look at Traditional Business Plan Vs Lean Business Plan. Traditional plans are lengthy about 40-60 pages of the document like college projects and still many of the entrepreneurs only creating it. ● Table of Contents– mentioned your tables of contents. ● Executive Summary– a high-level view of the company and in which you summarize your vision for the company. ● General Company Description– here you mention an overview of your company and the services. ● Market Analysis– Identify what’s your target market, and why market customer interested in buying from you? ● Products and Services– in which you describe, in detail, your unique product or service. ● Management and Organization– in which you describe the structure of your organization and the philosophy that governs it. ● Marketing Plan– in which you describe how you’ll bring your product to its consumers. ● Operational Plan-in which you describe how the business will be operated on a day-to-day basis. ● Financial Plan-in which you illustrate your working model for finances and business need from investors. I agree sometimes banks, venture capital firms may ask you details but it’s not the case every time. It is lean business planning because it makes perfect sense to apply the same idea of starting with the minimum, reviewing regularly and improving over time to business planning. A lean plan is a collection of bullet points, lists, tables. It’s not an elaborative business plan or document. Simple 1-2 page business plan can fulfill your requirement. Bare-bones strategy, a few bullets, to serve as an ongoing reminder. Important tactics of the marketing plan, product plan, and financial plan but just as bullets, not wordy descriptions. Concrete specifics of key milestones, metrics, dates, responsibilities. Essential numbers: forecast sales, expenses, and cash flow. Need which your business satisfies. List the mission statement and actions of your business to address gaps in the market. How your business will do better than others who already there in the market. Outline your unique business model how its unique than others. Mentioned key strengths, weakness, competition in the market. State how will end user takes benefit of the uniqueness. Identify and state your keyboard members, management team, advisors. Mention what value they add to your business. How is your size of the market growing? What is the earning potentials & how big it is? Identify how to reach and pitch in the market. Devise your promotional strategies plan(inbound, Outbound and both). Identify and strategies which promotional medium it suitable for your business. It includes-Expenses(internal, external), Pricing model, Costs, Margins on which your business is running. Fundings which typically come external sources(Angel Investors, Loans, Venture capitalists, friends). Make breaking point with +ve and -Ve scenarios with contingencies and without contingencies e.g If you hit or slow down in the market and you don’t have a plan, your business could even fail. 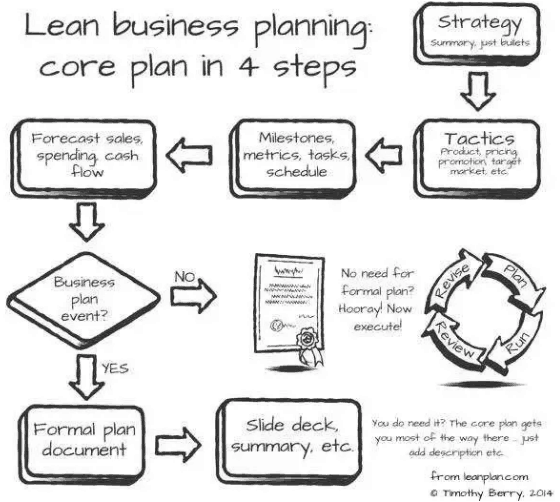 All businesses should use the lean plan methodology and a traditional plan. The traditional plan becomes useful only in special case business events such as applying for a bank loan or seeking outside investment. In those instances, entrepreneurs can use the lean plan as a first draft, and then add summaries, market analysis, more explanations, and a lot of background information to make it into a traditional plan. Current thinking about lean plans? Most of the Venture Capital firms, Angel Investors are likely to be happy with Lean Business Plan combined with images, pitch presentation, summary memo, and executive summary. During my research, I have come across some Business Plan mistakes that most of the Entrepreneurs are doing. ❏ Not caring to write. ❏ Not doing enough market and competitors research. ❏ No clear purpose of your business plan. ❏ Not having a clear business model. ❏ No awareness about financials and how to plan it. ❏ Setting your business plan aside after you’ve written it. Bonus : I have made a list of the 10 best online business ideas to make money. Business Plan is winning WEAPON for Entrepreneurs. So there has to be some baseline planning needed to run and grow business in the future. Anyone can start a business, but before starting any business you must follow step by step approach rather than directly jump into the business. 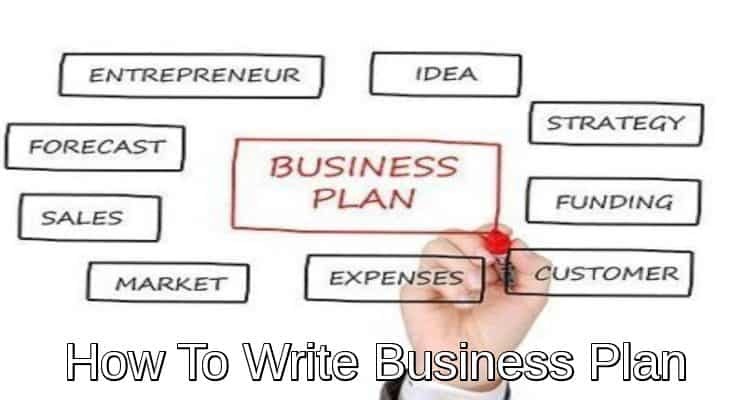 The exercise of writing a business plan will help you better define your business opportunity, ideas & strategy. You will go through a process of streamlining your thoughts & organizing concepts into the well-defined message. Wisely written Traditional and Lean Business Plan is the sure shot way to run and grow your business. There are multiple mediums to help you out there like consultants, seeking advice from the business gurus, software and each of this medium have their own funda(ways). What do you think of business planning? Or maybe you have a question about an above mention process. Which plan are you using for your business? Let me know in comments if my study helped you and if I missed anything or you may have any further questions! I’ll be around to reply your comments and answer questions. AND Subscribe Growthfunda to get the FREE update of my insider strategies to start an online business, make money online, quit a job etc at NO COST. A very good write up covering all the aspects of the business plan. Excellent post bro. Very informative. Thanks. Thanks a ton @Guru Bakyesvara Pandiyan. Your Growth funda blog is very informative & self explenatory for who wish to start new business. There is another medium as well through which you can achieve freedom. Will share thoughts on it soon.